Delhi is often the first stop for travellers visiting India and, I’m not going to lie, it is a real shock to the senses in every way possible. You’re thrown right in at the deep end of the craziness of Indian life; a whole new culture filled with exotic tastes and smells, a diverse culture, an incredibly rich history and so many people! The crowds can be intense but they’re all part of the fun in Delhi so embrace the chaotic city and enjoy some of the highlights it has to offer. 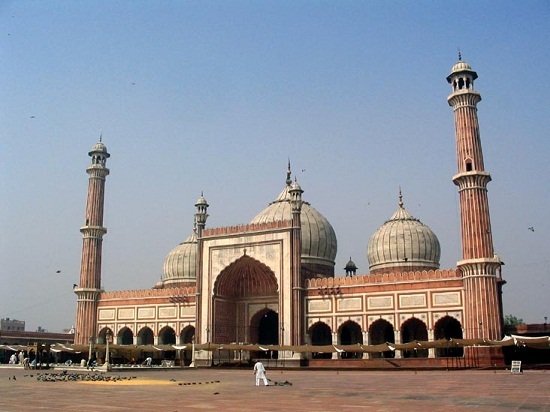 This Islamic mosque is not only the tallest brick minaret in the world but is also a UNESCO World Heritage Site. It was built in 1192 and reaches 72.5 metres high. The minar marks the start of Muslim rule in India and is known as a Victory Tower in the Islamic world. The minar isn’t the only thing to visit within the Qutb complex. There are also the ruins of the Quwwat-ul-Islam Mosque and more. 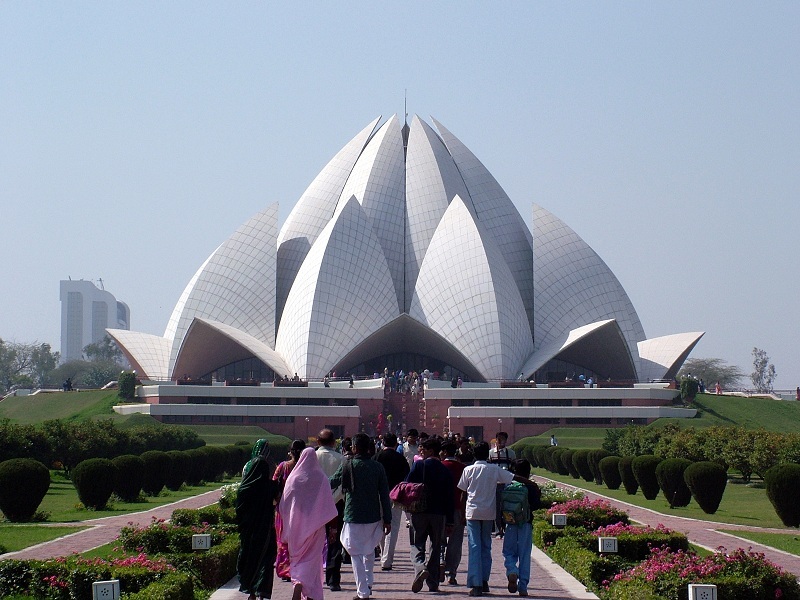 The Lotus Temple in New Delhi is a Bahai House of Worship and is an incredible, modern building built in 1986. It is a place for mediation and peace and you’ll feel this as soon as you get close to the huge lotus flower like building. The lotus is a symbol of purity, love and immortality so is an important icon in Indian culture and society. The temple has 27 marble petals and took 800 people nearly 10 years to construct. It is surrounded by nine ponds which gives the impression that it is floating on water, exactly like a lotus flower. Old Delhi’s Red Fort is an incredible palace to visit at any time of the day but it has a beautifully magical vibe if you manage to visit at sunset when the fort seems to glow. You’ll also be able to catch the daily light and sound show for an extra touch of magic. The fort is another one of Delhi’s UNESCO World Heritage Sites and was built in the 17th century by the Mugal emperor, Shah Jahan. Old Delhi is a complicated maze of narrow alleyways and tiny shops selling everything under the sun and more. Among the crumbling buildings you’ll also the odd surprising gem such as a beautiful temple, a restaurant selling the finest Indian food you’ve ever tasted or a market seller with the sweetest fruit or tastiest chai. I don’t recommend reading a guide before you head out into Old Delhi. Simply put some comfortable shoes on, grab a bottle of water and your camera and go get lost. Don’t forget to take a business card from your hotel in case you get seriously lost. Whilst exploring Old Delhi, be sure to head to Khari Baoli to find Asia’s largest wholesale spice market. You’ll find everything from whole chillies to nuts, rice, tea, herbs and every kind of spice you can think of. You’ll need to be prepared for the crazy hustle of the market streets and expect a few spicey sneezing attacks but it is all well worth it for a glimpse at the sacks filled with spices. Some shops in the area are aimed at tourists and you’ll usually find a friendly guide who will happily talk you through the different spices available and you’ll be able to sample some dried fruits and a selection of teas. Remember that not all countries will allow you to import food and spices so double check before you splash out and buy lots to take home. The Sikh temple, built in 1664, is the largest and most well-known mosque in India. It’s a beautiful and peaceful place to visit, no matter how crowded it becomes, so sit back and admire the huge domes from a shady spot. Women need to hire a colourful robe when you enter on the gate so the courtyard becomes a bright sea of people. Delhi may be a busy and chaotic city but it is also remarkably easy to get around. If you’re travelling a short distance then a cycle rickshaw is a quick, easy and cheap option. If you’re travelling a little further then hop in a tuk tuk. You can hire one for an entire day, a couple of hours or just for the duration of your journey but always negotiate a price before you hop in. The Delhi Metro is a brilliant way to get around. The clean, modern and cheap train system is organised and efficient and, most importantly, has icy cold air con. There is a separate section at the front of the train just for women (follow the flowers to find it) for any women who may feel uncomfortable travelling alone. 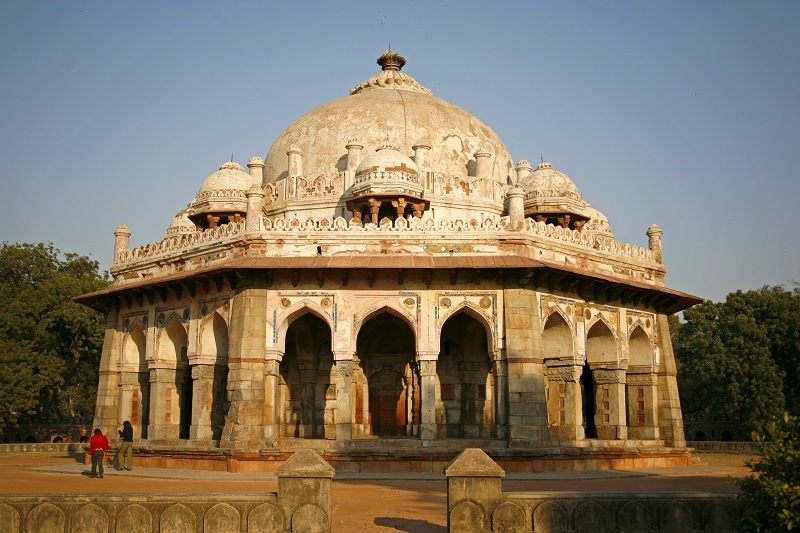 If you'd like to discover Delhi and head to some of the most impressive areas of India, take a look at our Golden Triangle tour, now with 20% off!